Nuno felt Cape with eco print. 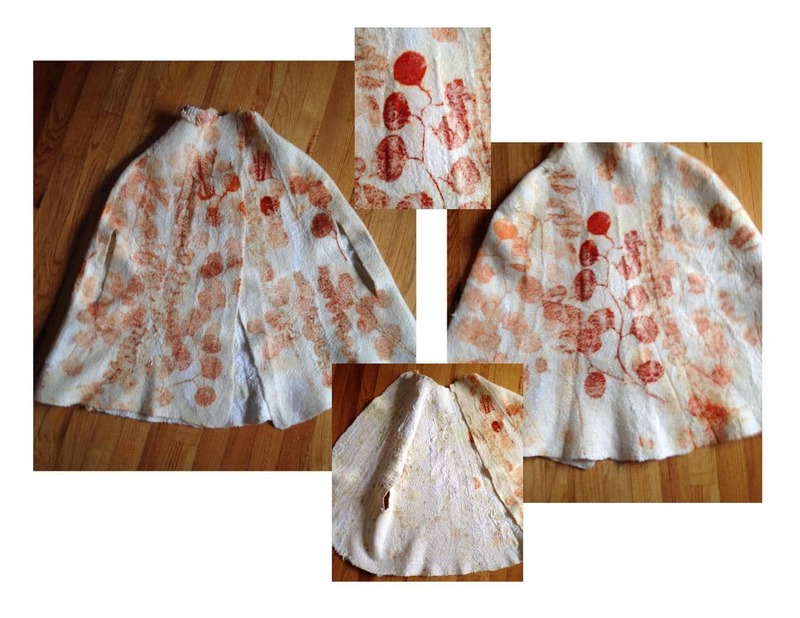 Nuno felt Cape with botanical printing. Hand made, seamless. Merino wool, Habotai silk. Eucalyptus leaves print.